Moonlit In The Sun was founded in 2006 originally as a small trio of piano and two violins. Over the years, our ranks have grown and we now consist of several core members as well as many other musicians with whom we collaborate. Today our group includes flute, violins, viola, cellos, and piano. (Scroll below to see our individual bios.) What makes Moonlit In The Sun special? QUALITY PERFORMANCE. Our experience isn’t limited to background music where people may or may not hear our musical capabilities. We are performing musicians and recording artists. You can hear the difference! CONFIDENCE. We have years of experience with events. For example, we have been performing for weddings for over 20 years. CHOICE OF MUSIC. 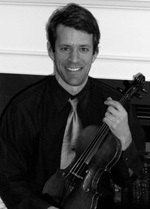 We offer elegant classical chamber music, lively ragtime, as well as nostalgic popular favorites. CHOICE OF ENSEMBLE. We offer the flexibility of performing as any combination of flute, violin, viola, cello or piano. 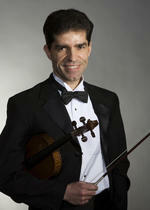 Alban has been performing violin in the Washington, DC area since 1987. He has been a member of the Prince George Philharmonic, the Mount Vernon Chamber Orchestra, the Mclean Orchestra, and the Washington Savoyards (a theater group dedicated to performing operettas by Gilbert and Sullivan) and the Loudoun Symphony Orchestra. His violin instructors have included Evan Paris of the Ysaye Quartet, Ricardo Cyncynates (assistant concertmaster of the National Symphony), and Akemi Takayama of the Shenandoah Conservatory. Alban also performs on piano and harpsichord. His instructors have included Louise Garrow and Russell Stevenson for piano, and Donald R. M. Paterson for harpsichord. Carla received her music degree from George Mason University in 1993 where she won the George Mason University Concerto Competition. She has been performing throughout the D.C. Metropolitan area since 1990, including performances at the Barns of Wolf Trap and the Kennedy Center. Carla has studied under Richard Parnas (recent principal violist of the National Symphony Orchestra) and Doris Lederer, violist of the Audubon String Quartet. Carla provides enrichment classes in strings for local elementary schools in Loudoun County; provides violin and viola lessons from her private studio in Leesburg, VA.
By day, Frank can be found selling and servicing a foundry quality control tool for MeltLab Systems based in Winchester. By night, Mr. Peracchia keeps his violin performing career going with co-musician and wife/pianist Nancy on Fridays at Anthony’s Restaurant in Purcellville as well as with Moonlit in the Sun. By mid-afternoon and evening, he shares his musical gifts with the next generation of young violinists through private lessons and studio classes. Ms. Prestipino, pianist, maintains an active teaching schedule as the “pied-piper” of music education for preschool aged children at the Neighborhood Learning Center in Purcellville. 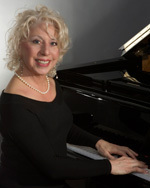 As a performer she is the music director of the Church of the Good Shepherd in Bluemont and as part of her and her husband Frank’s violin/piano ensemble called Family Fugue which in addition to playing public recitals, performs most Friday nights from 7 to 9pm at Anthony’s restaurant in Purcellville. 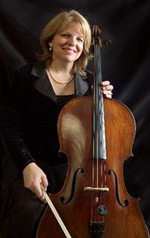 Valerie Wride, cellist, has been a member of Moonlit in the Sun since 2007. 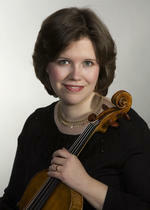 A member of the Loudoun Symphony since 1997, she is also co-principal cellist of the Washington DC Temple Orchestra. Previous to that, she played with the Camellia Symphony (Sacramento CA), Temple Hill Symphony Orchestra (Oakland CA) and Lima Women’s Chorale (Lima, Peru). Valerie began her cello studies with David Freed (principal cellist Utah Symphony), later studying with Elizabeth Kellogg, John Magee (Solista – Orquesta Sinfonica de Madrid) and Robert Battey. Valerie maintains a private cello studio in her home in Leesburg, VA, teaching both traditional and Suzuki methods. Valerie and her husband are the proud parents of five children and thirteen grandchildren, and delight in watching the next generation of musicians begin their journey. 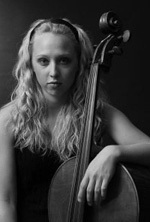 Rachel Sexton began her cello studies under Stephen Geber at the Cleveland Institute of Music. She continued them with the internationally renowned chamber musician and soloist Antonio Lysy at University of California Los Angeles where she was awarded the Gluck grant for chamber music. She has worked under celebrated composers John Adams and John Williams, as well as performed with the American Youth Symphony, Debut Orchestra, and Santa Barbara Symphony. She was recently appointed Assistant Principal Cello of the Loudoun Symphony, and is currently pursuing a Masters in Cello Performance at Shenandoah University with Clyde Thomas Shaw of the Audubon String Quartet. Lauren has performed throughout the United States, Canada, Europe, Japan and Australia at prestigious concert halls including Carnegie Hall, the New York Philharmonic’s Avery Fisher Hall, The National Arts Centre in Ottawa, Dai-Ichi Seimei Hall in Tokyo and The Kennedy Center. She has both performed and taught at New York University during the summer of 2007. The Virginia born flutist was accepted to The Juilliard School with the highest honor of Presidential Distinction, and was the only undergraduate flutist worldwide to be accepted for the 2002-2003 academic year. She graduated from Juilliard with an Undergraduate Artist Diploma in 2005. 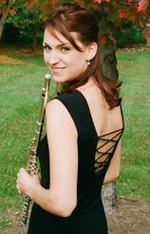 Lauren is currently Principal Flute of the Prince William Symphony Orchestra and plays with the PWSO Principal Wind Players Woodwind Quintet. She is on the music faculty at The Wakefield School in The Plains, VA. Ms. Sileo enjoys freelancing in the Washington Metropolitan area as well as teaching privately in Northern Virginia.